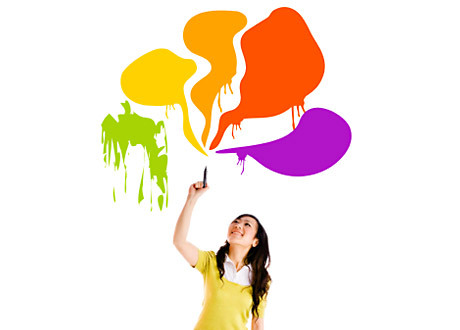 The creative elements of your brand is a message often sent without using many if any words. In order to capture the attention of your audiences you must engage them with a clear, professional image that they can readily identify and immediately associate with your particular brand. Take for instance if you were to see the symbol for McDonald’s you would make an instant connection and reflect on the “golden arches” image. That is how branding is supposed to work for your business. But there is also a negative side as to how your brands image can affect how consumers view your ability to service their particular needs. Unorganized, sloppy or blurred images can communicate that not only do you not care about your businesses image or about the people you are trying to convince that you are the go to company, organization or person for them to make the correct purchases from. Don’t be afraid to ask for input before you go it alone. Having someone you trust with critiquing your work is always a good practice to adopt, especially if you are a very busy business owner who doesn’t have time to constantly manage your company’s image both on and offline. Another option available to you is to find an expert that can give you great insight on how the image of your business should look like in order to attract the right customers. It has taken many years for me to perfect this craft and to build the expertise and confidence to tell a business owner that their current image is sending the wrong message to the people they need to be reaching on a constant basis. Take time to take care of your businesses appearance. It could make all the difference on who and why potential customers and clients are looking at you or not. Hire Our Design Team! Just fill out the form below and we will respond right away!